What an amazing Halloween card you made ! Very beautiful colouring and a little witch is perfect. Just love it ! LOVE your image and colouring, LOVE your scene with the added dimension of the grass & tree branches too! 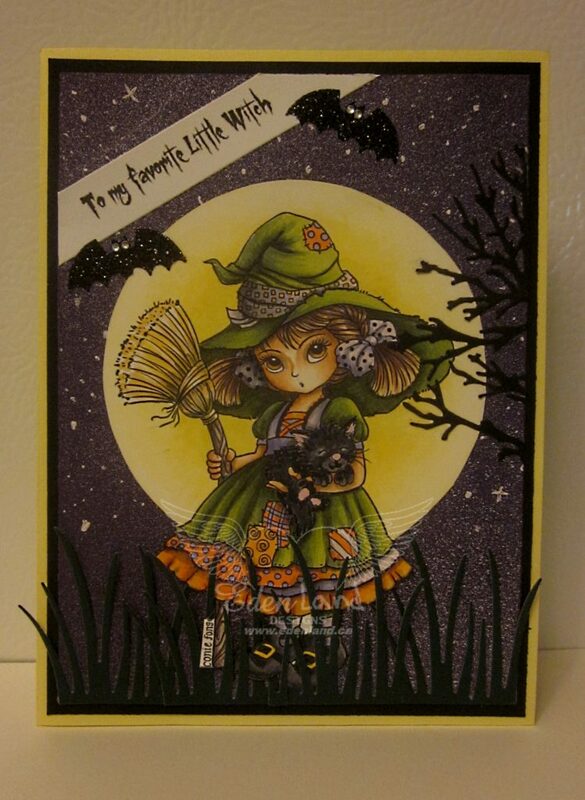 CONGRATULATIONS – you were one of the lucky winners from Challenge #144 at the Crafty Gals Corner!